Exfoliating was something that I had never even thought about when I first got into beauty. But exfoliation can often be seen as being a cleanser - as a lot of cleansers will say that they gently exfoliate as well as cleansing the skin. Exfoliators will remove any dead skin cells whilst cleansers will remove dirt and impurities from the skin. I suffer from severe dry areas around my T-zone which when mixed with a harsh scrub can often be too abrasive for my skin. So personally, I like to go for a product that offers a 2-in-1, where it will often cleanse and gently exfoliate. Then once a week I will use a more scrub based exfoliator to really make sure that all the dead skin cells have been thoroughly removed, but I find that a cleaner and exfoliator in one works well at removing skin cells and removing impurities. I will also sometimes use my Clarisonic Mia 2 with a more gentle exfoliator to make sure all the dead skin cells have been removed properly. If you do suffer from dry skin or sensitive skin then you may want to also you a gentle exfoliator so you do not irritate the skin too much. 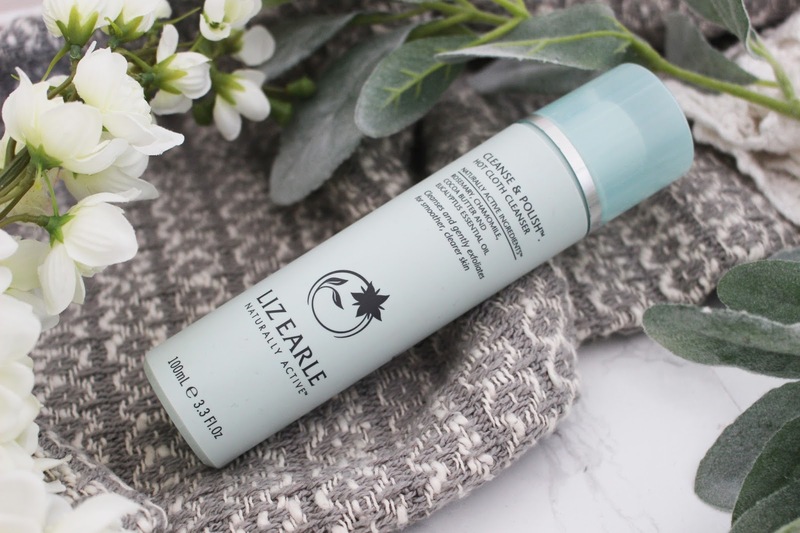 Even though this is described as a cleanser it is also an exfoliator that offers gentle exfoliation to the skin as it includes natural jojoba spheres which helps to exfoliate the skin as well as cleansing it. This is the best of both worlds because you have essentially two products in one. This product is great if you suffer from acne or oily skin but is also perfect if you suffer from dry or sensitive skin as it will not be too abrasive for your skin. It has helped to remove any impurities like blackheads as well as leaving my skin feeling lightly exfoliated. Every time I use this product my skin looks healthy and glowing and it is my favourite exfoliator that I have used all year. Cleansing in my opinion is one of the most important steps in any skincare routine; not only can it help make your skin look more radiant but it will also remove any dirt or leftover makeup that could be blocking up your pores. I cleanse every morning and night and sometimes I will even double cleanse to make sure there is no leftover makeup. I will usually in the morning use a cleanser with exfoliating beads in it and then use a cream based cleanser afterwards and then in the evening I will use a cleansing balm to remove tough makeup and then use a cream cleanser afterwards to really make sure my skin is left feeling smooth and clean. I actually wrote a review on this product back in 2016, which just shows how long I have been using this product. This is probably one of the most well known cleansers in the world and so many people love it, me included. Now this is also a gentle exfoliator but it does not work as an exfoliator on me because I need the micro beads to really lift the dry skin away, and this cleanser is just a cream. This just helps to transform my skin whilst removing any dirt and left-over makeup whilst gently polishing the skin to remove dead skin and to leave the fact feeling smooth, clean and looking more healthy. I use this morning and night to make sure that I have removed all of my makeup and that there is no left over dirt on my skin. This is a must-have in every bathroom cupboard. 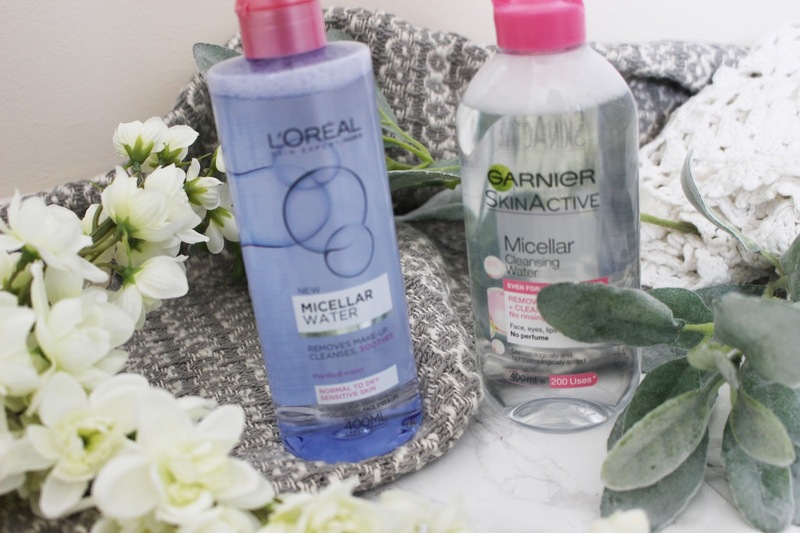 Micellar water was something that really has blown up in the beauty community in the last couple of years and I remember it was one of the first skincare products that I purchased. This is the perfect solution to travelling and those late nights when you just want something easy to remove your makeup with. I will really only use Micellar water when I am travelling or for those late nights when I am too tired to complete my whole skincare routine. Now what is Micellar water and why is it so special? Firstly, they are tiny micelle particles suspended in soft water, and the tiny oil particles draw makeup and impurities from the skin without having to use abrasive scrubs and cleansers - basically this is a gentle liquid cleanser. I would always suggest double cleansing when using Micellar Water and then apply a more thorough cleanser on afterwards but Micellar water is so easy to use when you are tired and travelling - plus you don't have to worry about rinsing it off. I have two Micellar waters that I have been loving in the year of 2017 and they are both from the drugstore. This is one of my favourite Micellar Cleansing Waters and I have gone through so many bottles of this; including loads of mini travel sizes as well. This works amazingly when I don't have the time to thoroughly cleanse my skin and it removes pretty much all of my makeup. I don't use this all the time because I do find that it doesn't always take off my waterproof mascara and it will leave some dirt but it is great for travelling when you don't want to weigh your suitcase down with three different cleansers. If you do use this every day, I would recommend using another cleanser afterwards just to make sure that all the dirt and makeup has been removed from your skin. This Micellar Water is very similar to the Garnier Micellar Water, but this comes in different skin type formulas. 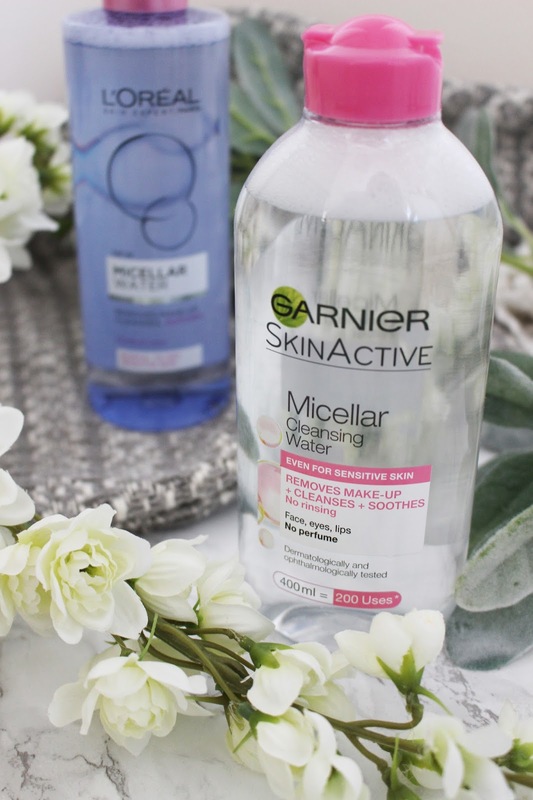 I use the normal to dry formula and I have found that it is another great drugstore Micellar Water that removes my makeup and helps to cleanse my skin slightly to leave it feeling soft and glowing. I haven't seen this in a travel size, so if you are travelling I would recommend the Garnier one but this is great for those nights when you don't want to spend a long time taking off your makeup. I have only been trying this for a couple of weeks but it has already become a firm favourite of mine. 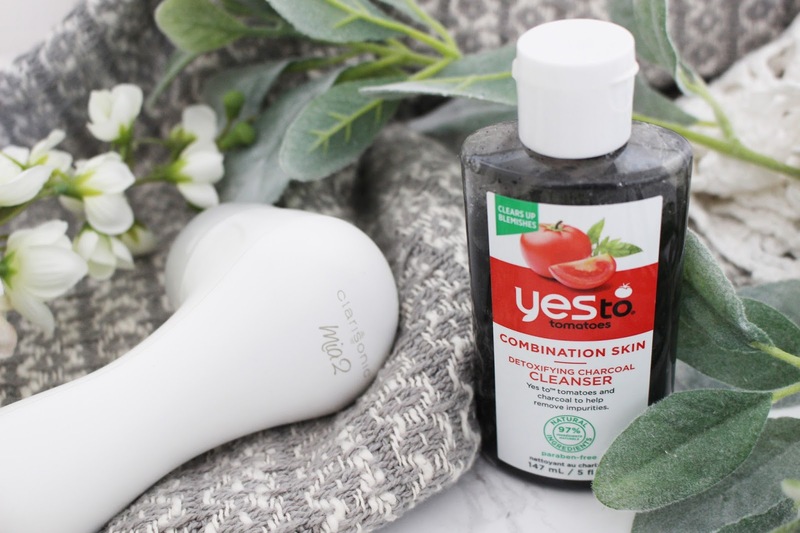 I had always used Micellar Water to remove my makeup, but when I heard so many bloggers talking about cleansing balms to remove makeup with, I knew that I wanted to try it out to see if it worked. Unlike with a Micellar Water, you do have to rinse the cleansing balm off, otherwise the dirt and makeup will just stay on your face and build up in your pores. Therefore, this step does take a bit longer but it is really good for removing stubborn makeup, like waterproof mascara and liquid lipsticks, that are notoriously difficult to remove with a cotton pad and Micellar Water. I could have put this with my cleansers but I use this mainly to remove my makeup and then I will use another cleanser that gently exfoliates to remove all the dirt. 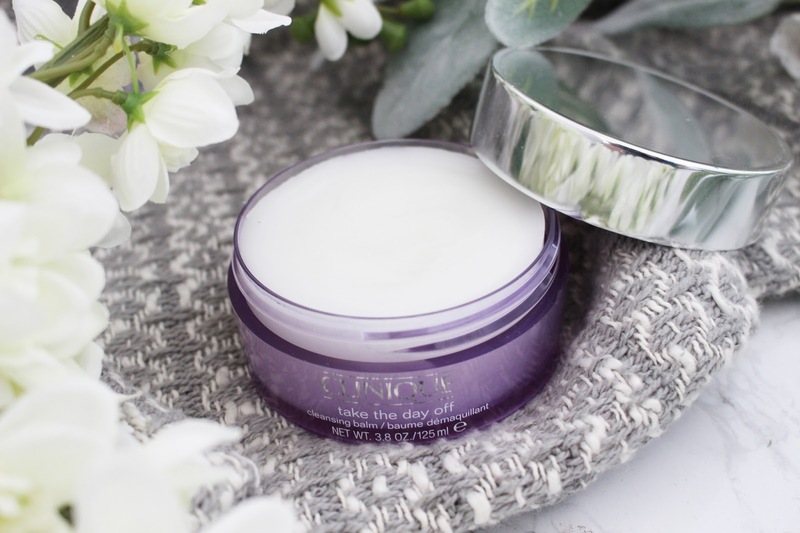 The only cleansing balm that I have used to remove my makeup with is the Clinique Take The Day Off Cleansing Balm. This is a lightweight makeup remover that transforms from a balm to a silky oil that melts away stubborn makeup ad sunscreen. This is great for all skin types as it is non greasy and does not dry down as you rinse it off straight away. It also help to nourish the skin, cleanse and remove any makeup, whilst leaving the skin looking fresh and glowing. 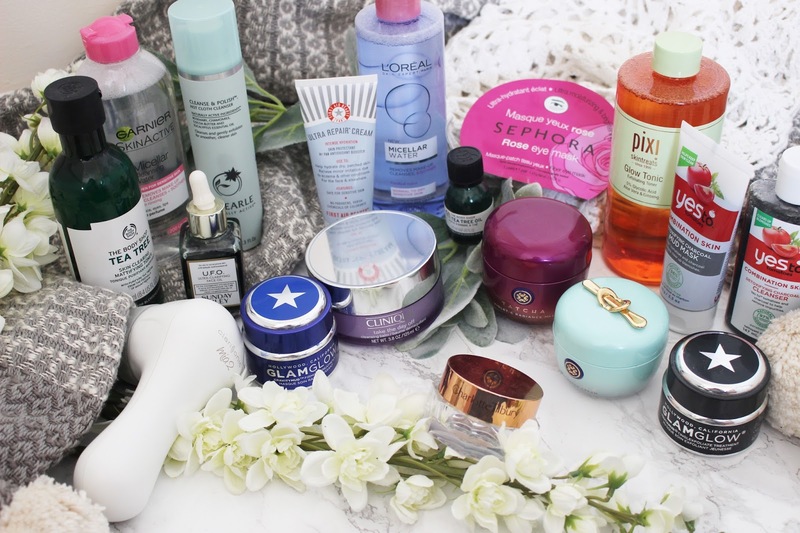 Toners are something that I have never really thought about when it comes to my skincare routine; however that all changed when I started to up my skincare game at the beginning of this year. Probably a lot of people don't understand what a toner does and why we need it (and I will admit I fell under than category for a long time). However, the purpose of a toner is pretty important especially if you suffer from oily skin. A toner is important to cleanse the skin, refine any pores and give your complexion a more even tone. I will always use toner when I am not wearing any makeup as it just helps to make my skin tone look more even, whilst leaving it looking glowing at the same time. I don't suffer from oily skin, but I do have pores and a tone helps to shrink the appearance of pores as it removes any oil build up on the skin. I have two toners that are amazing and I use reguarly. 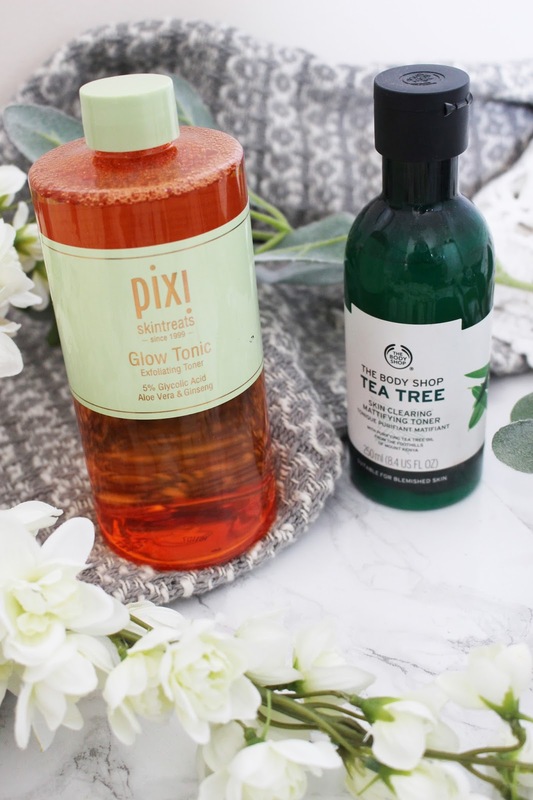 Pixi's Glow Tonic is probably one of the cult favourites when it comes to toners and I have been using this religiously every day for the last 9 months. This is more of an exfoliating toner that helps to firm and tighten the skin, whilst leaving it looking fresh and glowing. I will use this every day whether I am wearing makeup or not as it just leaves my skin looking radiant. This also helps to remove dead skin cells and the first time you use this product you will be shocked at the colour of the cotton pad when you have finished using the product; even if you have just cleaned your hands of face you will still see so much dirty and leftover makeup when you use this toner. It is also formulated with 5% Glycolic Acid which helps to hydrate the skin whilst Ginseng and Aloe Vera help to nourish the skin to leave you with a smooth and glowing complexion. I will not use this product every day as I do prefer the Pixi Glow Tonic, but this is a firm favourite in my skincare collection. This works in a similar way to the Pixi Glow Tonic, but it has added Tea Tree oil in the formula which is known to help with blemishes and pores. This is great for people with oily skin, but I will always use it when I have a blemish or I really want to focus on treating my pores. 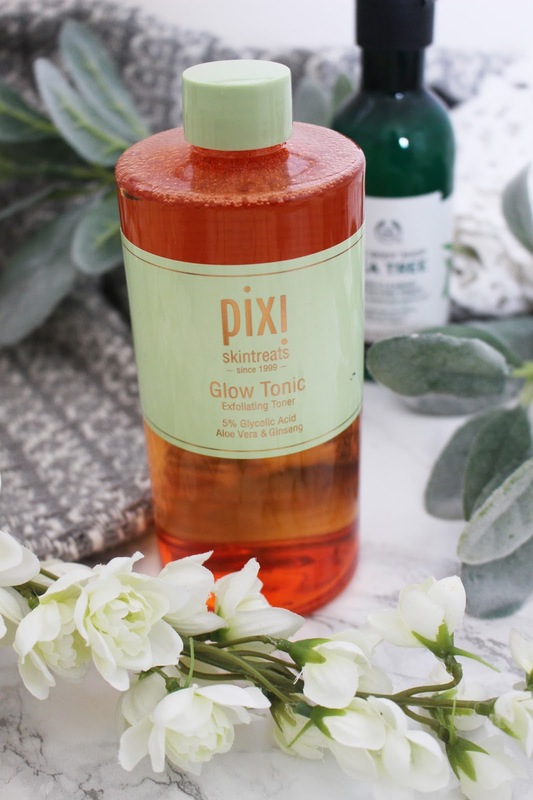 Then once my blemishes have reduced I will go back to the Pixi Glow Tonic, but I would recommend this for anyone who suffers with oily skin, as it is great at minimising the amount of oil on your skin. We all suffer from breakouts every now and again; it can be because of a certain time of the month, our age, our skin type or because we have been testing out new skincare or makeup products and our skin cannot cope resulting in us getting blemishes and spots. Now this is not a product I will use every day and often I will only use these types of products when I can feel myself getting a blemish. I do, however, use one acne-fighting product a couple of times a week and I talked about it in my last post. Even if you don't suffer from acne or blemishes that often, it is always handy to have something in your skincare that is specifically to help banish blemishes and acne for those days when you do find yourself with a blemish on your face. I have already spoken about this product in depth in my last post (which you can find here), so I will not spend too long talking about this product. This is something that I use a couple of times a week to just help stop the reoccurrence of blemishes and to help fight any acne. I do suffer from pores and blackheads on my nose so I use this product to really help fight that, but I will also use it when I can feel myself getting a blemish coming through on my face. Since I have started using this product, I have seen a massive change in the amount of pores and blackheads I have and I think this is one of the best products for reducing acne and blemishes. Of course the Sunday Riley U.F.O. 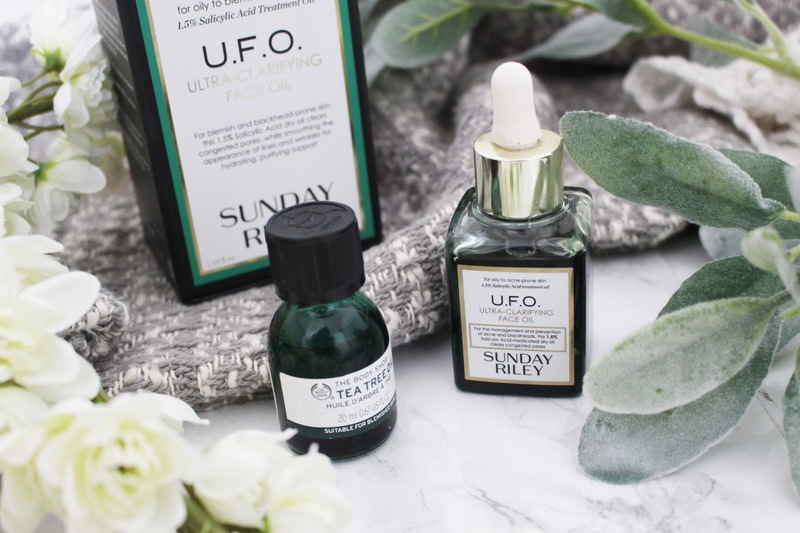 Facial Oil is out of most people's price range, but there is a great alternative that only costs £12 and is from The Body Shop. This is a Tea Tree oil which is renowned for its powerful, purifying properties. 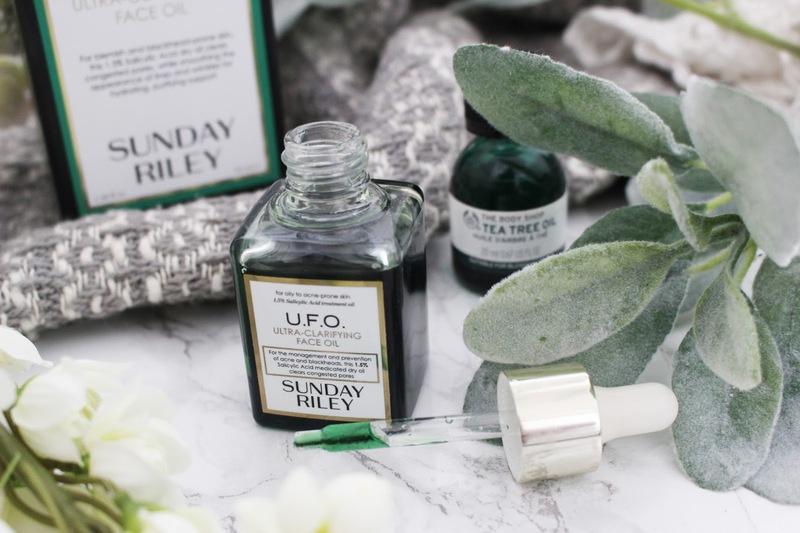 Whenever we think of acne and blemishes we will often buy a product that has tea tree oil in it, because it is known for fighting spots and acne. This oil from The Body Shop is amazing and is what I will use directly on a spot when I can feel it on my skin. Within a couple of hours of using the product I can see a visible reduction in the size of the blemish. This really is so quick and easy to use and is always going to be stocked in my cupboard for those days when I have a spot. When it comes to skincare and in particular eye creams and moisturisers, I do feel that you have to invest in a good quality cream that is going to address the issues that you want to focus on. I am not saying you have to spend £80 on an eye cream but I do notice a difference between the results that I get between a drugstore eye cream and a more high-end eye cream; you can get some amazing eye creams for as little as £20 that are luxury and do an amazing job so don't feel you have to spend a fortune on this step in your skincare routine. The one thing with eye creams is you have to think about what issues you want to address - is it dryness, anti-ageing, puffiness, dark circles or dullness. For me personally, I am always looking for an eye cream that focuses on making my under eyes look brighter and more refreshed. You do have to put in more research when it comes to eye creams but there are so many out there that address different issues, so there is one for everyone. I have only really gotten into eye creams in the last year and a half; before I thought I was way to young to think about needing to use an eye cream but I have now realised that it is such an important step in anyone's skincare routine, no matter what age you are. I have been using the Charlotte Tilbury Magic Eye Rescue eye cream since February of this year and I have barely touched anything else (in fact I have already had to buy another eye cream because I ran out). 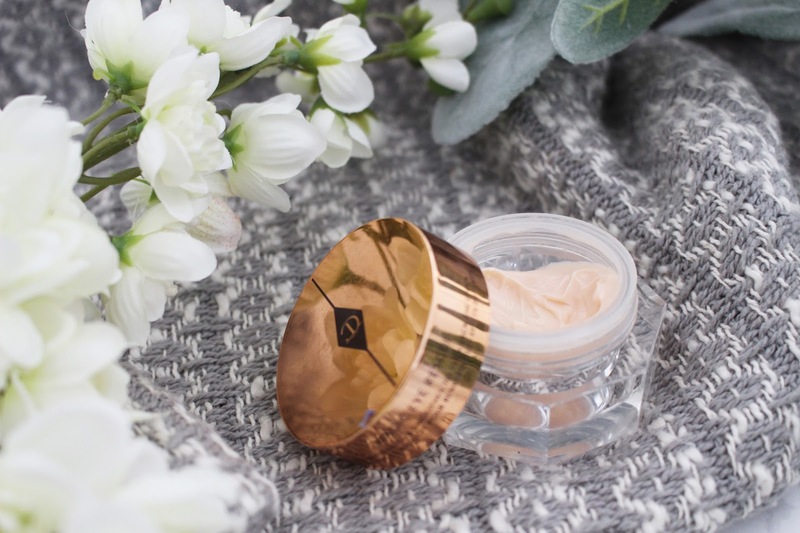 The main focus of this eye cream is to reinvigorate the eye area and the rich but delicate cream gives the care and attention needed for people who suffer from thinner skin. This is an anti-ageing cream which is great to start using in your 20's and it helps to reduce puffiness, smoothes the skin and refreshes the eye area. It just helps to make my makeup go on smoother and my under eyes always feel more smooth and hydrated when I have used this eye cream first. I love that it helps to make my under eyes look more refreshed and brighter. I am someone who is always trying out new moisturisers so out of every skincare product, I would say that moisturisers is something that I know that most about. With eye creams, moisturisers are the skincare product that you really have to research as there are so many on the market. You have to think about your skin type, what you want the moisturiser to achieve, what age you are and whether you want a lightweight cream or a more heavy cream. 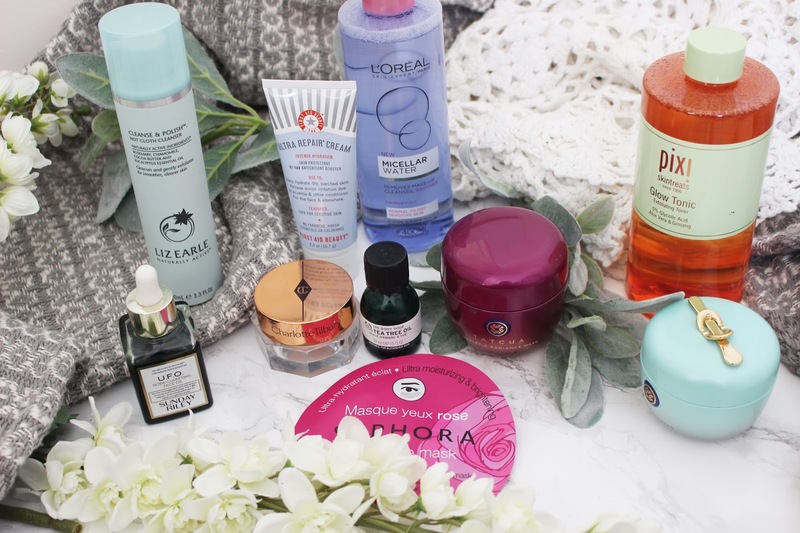 In the last year I have probably tested out ten moisturisers and the ones that I have found to be the best are on the more luxury end in terms of price. I am not saying that drugstore moisturisers are not good but I do notice a difference in my skin when I use a more expensive moisturiser; it will feel smoother, more hydrated and my makeup will just apply better in general. I am going to do a moisturiser blog post in the next couple of months which will discuss what moisturisers are best for what skin types so keep a look out for when I post that. But at the moment I have one moisturiser that I am obsessed with and a couple of others that are good as well. 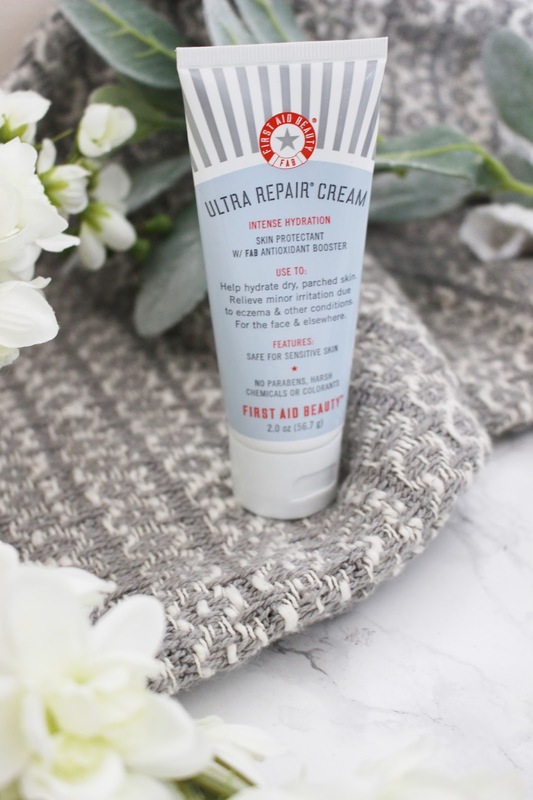 This is one of the only moisturisers that I have used that is perfect for any skin type - now it does say it is predominantly for people with oily, normal, combination and sensitive skin. It does not say that it is good for people with dry skin but I personally have normal to dry skin and I have noticed such an improvement in my skin since using this moisturiser. I find that the dry areas of my skin are not as dry when I use this moisturiser and it doesn't leave an oily residue on my skin either. This is such a lightweight cream that leaves my skin feeling nourished and hydrated without leaving the skin feeling sticky or greasy. It literally feels like you are pouring water into your face as you look so radiant and glowing after using the cream. It instantly absorbs into the skin and my makeup just applies so smoothly over the top (I don't always have to use primer). I really do notice a difference when I use this moisturiser in comparison to other moisturisers and I don't think that I will ever be able to use another moisturiser after using this one. I just wish Tatcha was sold in the UK, but hopefully it will be soon. Face masks are something that I will not use every night because after a while your skin will become to use to the masks and it can cause you to break out However, I will do a face mask a couple of times a week and I have an ever growing collection of face masks, from clay masks, to sheet masks to peel masks. I am just obsessed with face masks and they are perfect to help you relax as well as doing great things for your skin. I have way too many favourites so I really had to narrow it down to the ones that I reach for more regularly. 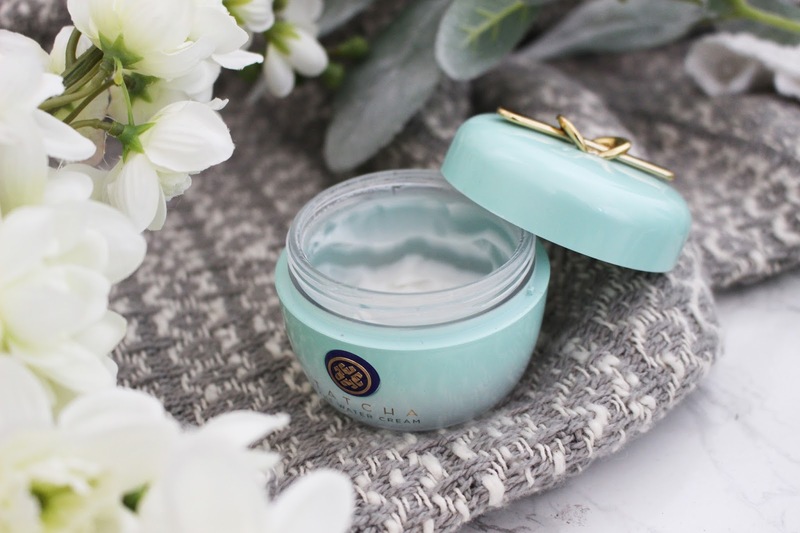 One of my more newer additions to my face mask collection is the Tatcha Violet-C Radiance mask that I have been using so much since I bought it in Hawaii in August and it has already become one of my firm favourites. This is perfect for all skin types, whether you have normal, dry, sensitive, oily or combination skin. I will reach for this mask when my skin is looking a bit dull or if my skin tone and texture are looking a little uneven. This also helps with fine lines, wrinkles and dark spots. This mask helps to leave my skin feeling remarkably softer and smoother whilst giving an immediate glow. My skin always looks more refreshed when I have used this mask and there is a water-soluable vitamin C that absorbs instantly into the skin to leave an immediate glowing, dewy look to the skin as well as providing protection from UV damage to give a more brighter and more even-toned appearance to the skin over time. I love this product so much and will definitely be repurchasing in the future. Sometimes I am not always a fan of sheet masks as often they never fit my face properly and I end up getting the product either in my eyes or in my mouth. But something that I am a massive fan of is sheet eye masks which are amazing if you suffer from dry skin under your eyes. The Sephora eye masks are one of my favourites because they have so many different scents that have different areas that they address - so there is a sheet mask for everyone. 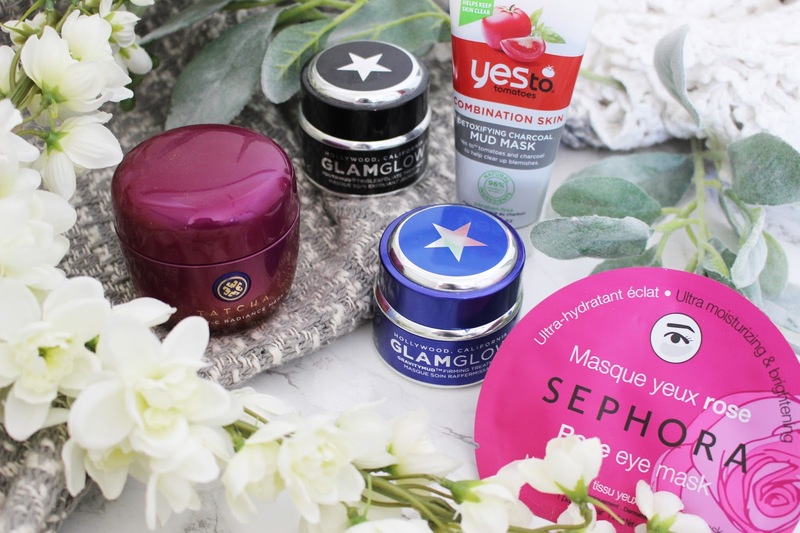 The one that I particularly love and use all the time is the rose eye mask which focuses on moisturising and brightening the under eye area. Every time I use these eye masks my skin feels instantly hydrated and just looks more bright in general. It also does help with puffiness which is great for days when you are tired and have a special occasion that you need to attend. I always take these with me when I am travelling anywhere, especially if it is on a plane where my skin always dries out. I have the limited edition Sonic the Hedgehog Gravitymud face mask from Glamglow, but it is exactly the same as the original Gravitymud firmining treatment (the only difference is mine is blue in colour and the original is silver). This is perfect for anyone who wants their skin to look and feel more firm and more lifted. With this mask, you apply it with a brush and then leave it to dry for around 20-30 minutes and then peel it off - which is probably the most satisfying thing ever especially if you loved to peel PVA glue of your hands when you were young in school (which I was that child). As soon as the mask begins to dry you can really feel it tighten your skin and when you peel it off you are left with the most beautiful skin you will ever see. My skin always feels firm and lifted and is perfect to use the night before a special occasion where you want to look your absolute best. I am so close to finishing up my current Gravitymud and I know I will have to repurchase it as soon as I do run out. I absolutely love Glamglow masks and my second favourite face mask (behind Gravitymud) is Youthmud. I have already gone through one jar of this face mask and I had to repurchase it the other week because I love it so much. This is the mask that is really going to help your skin look amazing as it is a gentle exfoliating face mask. At first it felt quite abrasive on my skin but when I saw the results I was shocked - it will result in an immediate camera-ready radiant skin. I will use this face mask once a fortnight because it is more of an exfoliator and I don't want to irritate the dry areas on my face. This face mask leaves your skin looking smoother, brighter, younger and softer. My skin has never looked so good! 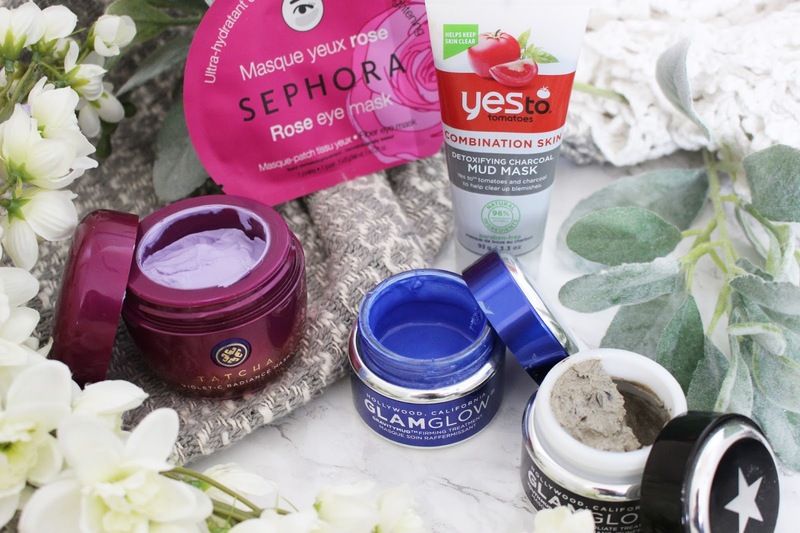 If you are suffering from blemishes or acne then a charcoal mud mask is one of the best face masks that you can use and one of my favourites is the one from Yes To Tomatoes. This is a natural mud mask which helps to draw out any impurities in the skin with the ingredient charcoal. It helps to treat and prevent blemishes as well as conditioning the skin with a blend of tomato, aloe, watermelon, pumpkin and chamomile extracts. Whenever I use this mask my skin feels so soft and I love how creamy the mask is when you apply it to the face. I will always notice such a big difference in my skin when I use this mask and my pores will look reduced as well as it treating blemishes with salicylic acid. If you suffer from dry skin or your skin is often irritated, then something that you may want to use is a more intense cream or product that will protect the skin as well as helping to keep the skin hydrated. I have only ever used two products that help to protect the skin from irritation due to multiple reasons like insect bites, rashes and eczema. But these have come in so handy for days when I do get rashes and I have even used them to protect my skin if I have been sunburnt so that my clothes won't irritate the affected area. This is my favourite skin protectant cream and I have been using this since I was in Hawaii. This is a cream that temporarily protects and helps to relieve the skin from minor skin irritation and itching due to eczema, rashes, poison ivy and insect bites. What I love about this product is that it can be used on both the face and the body and it really does help relieve pain from irritated skin. Whilst on holiday, I was severely sunburnt which was really painful and started to blister really badly. I bought this to help protect my skin from further damage and so that my clothes would not irritate the affected area. This was amazing and really helped to sooth any pain and provided a natural barrier between my skin and clothes so that the sunburn could repair itself. I have also used this on rashes and insect bites and it is the first thing I reach for when I have any irritated skin. Make sure to check out reviews.com for some amazing reviews on all types of products. I would love to know if you have used any of the products that I have mentioned in this post? Also what are your skincare must-haves for the year of 2017?